With another stunning appearance, Stefanos Tsitsipas beat Spain’s Roberto Bautista Agut in four sets, thus securing his qualification for the Australian Open semifinals, int.ert.gr reports. The 20-year-old tennis player continues to write history in Melbourne. Following his “epic” win over Roger Federer, this morning, he beat Bautista Agut by 3-1 sets and is qualified for the Grand Slam semifinals, where he will probably encounter Rafael Nadal who will play with Frances Tiafoe and is the absolute favorite. He became the first, chronologically speaking, to reach the semifinals of the first Grand Slam of the year and, at the same time, the younger player since Andy Roddick in 2003 to reach the Australian Open semifinals. 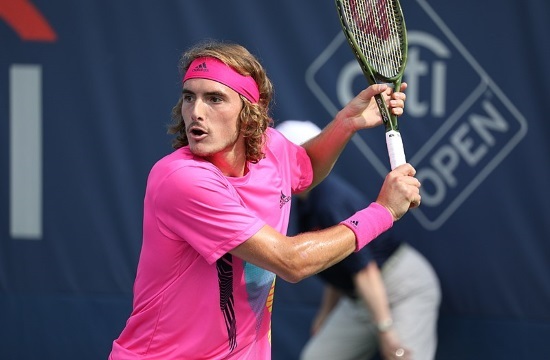 In the match that will determine whether or not Tsitsipas will qualify for the finals, the Greek champion will face either Rafael Nadal or Frances Tiafoe if the latter beats the multi-titled Spanish player.